Typically students begin to search for apartments and houses in Muncie, Indiana as early as the start of September or October for the next year. If you're looking for a large house in Muncie to live in with three or four roommates, you'll especially want to get started early. Houses for rent with five or more bedrooms are often the first to lease up, especially the houses for rent near Ball State. Apartments in Muncie, specifically studios and one bedrooms, are typically available into the spring. Average rent prices in Muncie are very reasonable. On the high end, you'll pay a little over $700 per month for a one bedroom apartment, but you can typically get a modest apartment for around $450 a month, especially if you have roommates. Check out our list of top rated landlords near Ball State University to begin your search. Responsive. That’s the word we see used over and over when reviewers give feedback on Campus Edge properties. When tenants have a problem, they reach out to Campus Edge and quickly get feedback and the help they need. That’s the sort of service people want out of a landlord. As the closest property to the BSU campus on this list, Village Promenade is a short walk from the BSU campus, as well as being close to the Village. It’s no question why the Silvertree Communities is one of the top-rated off-campus housing options in the Muncie area. The reviews for Silvertree are flooded with positive comments about how wonderful the staff is. Vie at Muncie seems to have made a change within the past year, and the tenants love it. A new leasing staff was recently brought on, and the comments show nothing but positive regards for the team. Primarily known for its quiet atmosphere, a safe and peaceful community isn’t the only thing Applegate has to offer. The management team provides excellent service by making themselves available to answer or resolve any concerns that tenants may have. BSU Cribs has tons of houses around Muncie, all pretty close to the Ball State campus. Many residents refer to Rod and his team at BSU Cribs as attentive, pleasant and professional. Located near both Ball State University and The Village, you’ll have a short walk to class and home at the end of the night at The 400. Reviewers have complimented both the large bedrooms in addition to the ideal location. Network manages residential and commercial properties, but that doesn’t mean they don’t cater to the needs of student renters. With affordable properties all around Muncie near Ball State, they’re one of the top resources for students looking for housing rentals near campus. A former Beacon Hill resident recently posted on their Facebook page how dismayed he was that he’d no longer be able to get up each morning and head down to the leasing office for coffee and bagels. It’s the little things that can set apart an apartment community. The Village is a popular area around campus with a variety of bars, restaurants and more. Students flock to the village because of its close proximity to Ball State and its shops and bars, which have specifically tailored their goods to suit college students. If you're a fan of nature, hiking, biking or anything else involving the great green outdoors, the Ball State Outdoor Pursuits program might be right up your alley. You’ll learn about state and national parks, rent bikes, climb a rock wall and more. Taking advantage of the Outdoor Pursuits as a freshman or sophomore will really help set you up to better know the Muncie area and give you more to do over the summer if you plan on staying until the fall semester starts back up again. Learn about Frog Baby and spend your college days protecting her from any harm that might come her way. Stick some gum (carefully) on the famous Ball State gum tree. If you're into nature, check out Christy Woods. 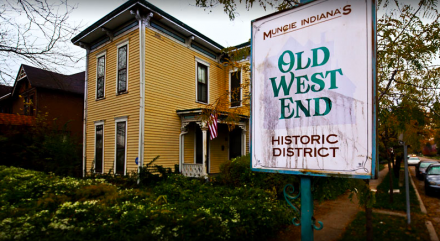 Known to many simply as Westside, the Old West End Historic District skirts the western edge of business districts like The Village. The area is mostly residential, with lots of beautiful mid nineteenth-century homes fashioned in classic Victorian-era style. 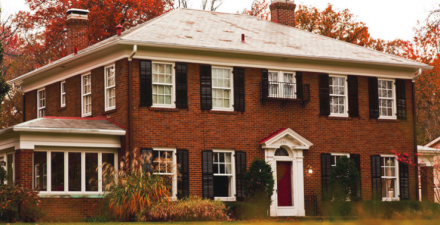 While the historic nature of these homes means they’re often not rentable, there are several notable houses for rent on the outskirts of Westside. If you choose to live here, you won’t be disappointed by the scenery: there are plenty of bike trails to explore, as well as some interesting old historic monuments, including a neighborhood cemetery that’s listed on the National Register of Historic Places. The name might suggest that it’s an ordinary neighborhood, but Riverside-Normal City is anything but. Situated on the White River, this historic waterside town center is full of things to see and places to visit. There’s the popular Insomnia Cookies, where students go to get late night snacks, as well as popular bars like Be Here Now and bookstores like the White Rabbit. Riverside-Normal City is one of the best places to look for houses for rent near Ball State, as there are plenty of two bedroom, three bedroom and even larger homes in the area. Like The Village, this neighborhood is also very close to campus, making it very walkable. Primarily a business district, The Village is a very walkable neighborhood where students will find apartments near Ball State within minutes of campus. The Village runs along University Avenue just south of the Sursa Performance Hall, and it’s popular place for those looking to shop and enjoy casual dining. It’s also home to a variety of pragmatic stores, too, including banks, bookstores and convenience shops. There are lots of cheap options for students looking for both houses and apartments in Muncie in The Village, but because of its convenient location, they go fast! North of the Old West End Historic District is the more modern Westridge, a residential district full of convenient places to shop and live. Many of the homes for rent here were built during the suburban housing expansion in the 1950s, and as such they’re both large and relatively cheap. Westridge is home to its own library as well as eateries like the Domo Japanese Restaurant of Muncie, a favorite among locals. 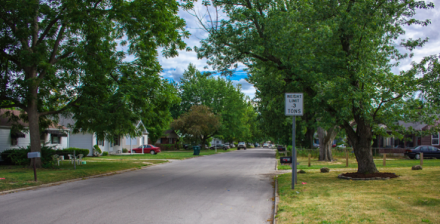 Like many of the neighborhoods in the area, Westridge is right by Ball State University, so residents won’t have to worry much about transportation issues. North of BSU lies Anthony, a subdivision of apartments and homes meant specifically for students. 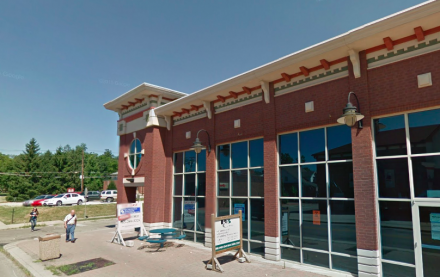 Ball State owns several of the apartment complexes for rent in Anthony, but there are numerous landlords in the area with their own operations, too. Because of the high number of apartments in the area, the population is largely made up of students living off-campus. This gives the area a nice campus-away-from-campus feel, as its occupants are much younger than most other neighborhoods in Muncie. 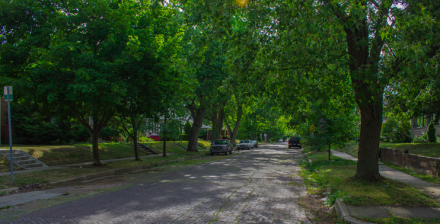 The streets of Anthony are also less dense than the southern neighborhoods, meaning there’s a lot of neighborhood greenery. It’s a touch further from campus than some of the other parts of the city, but the open space and wide selection of apartments makes it a great place to live for any student looking for Ball State off-campus housing.